Caroline Maxcy Photography has been crazy busy over the past week editing and photo shooting away. I had my longest "photo day" to date on Saturday where I started shooting at 9:00 a.m. on a oak lined back country road, made my way to an art filled 9 year old's birthday party in Lake Placid and then spent the afternoon and evening capturing the sweetest country wedding at a ranch in Zolfo, FL wrapping things up around 11:00 p.m. with cards full of gorgeous images, incredible moments and breathtaking stories. The day was full. The thing that sustained me through this all (besides the beautiful people and places I was looking at through my lens) was the fact that come Monday I was hopping on a plane and stepping off the grid for a week long vacation with my very best friend in... Italy!! Eeeeek! We have been talking about a reunion trip to the charming country after studying abroad there together in college many moons ago. And it just so happens that everything lined up for us to spend the next eight days exploring, wandering, reminiscing and relaxing while gazing at scenery spanning from the Italian coastline, to a Renaissance city, to the Tuscan country side. Hallelujah. I, of course, plan to take hoards of photos (and maybe even some video) along the way but while I am checking out of blog posting for a little over a week I know myself and as long as there is space on my iPhone and a wifi connection I will be filling up my Instagram feed with fine Italian scenery. To stay up to date you can either head on over and start to follow me on Instagram by clicking here or just check back here at my blog for the images below (which will be continuously and automatically updated from my Instagram feed. Yay for technology!) Arrivederci! Update: So here I am, back on US soil after my loooooovely Italian adventure. The images below are no longer a "live feed" straight from my Instagram but rather a selection of some of my favorite iPhone/Instagram photos from the trip. "Big girl camera" pictures will be soon to follow. Enjoy! 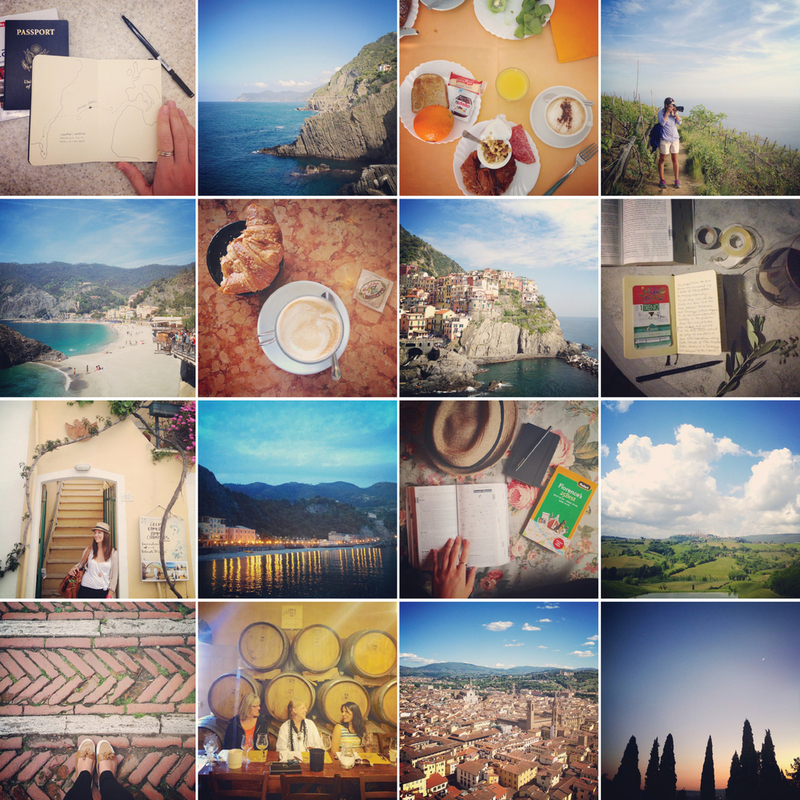 Just a little peek into my Italian Adventures via my favorite Instagram images.